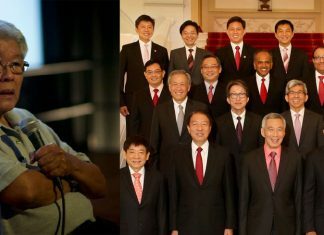 Singapore – With the recent news about too much sugar intake and its effects on our health, it would seem that the love for milk tea trumps all. We would know just how popular this addicting-goodness-in-a-drink is because of all the stores popping up internationally, and even more so in Singapore. Opened in November 2018, Tiger Sugar is a new bubble tea concept in town. Today, they have three branches in the country with their flagship outlet being located in Capitol Piazza. On January 18, Tiger Sugar’s flagship outlet received an eye-popping single order of 90 cups of Brown Sugar Boba Milk Tea by a walk-in customer; as if this was just a common thing to do in a milk tea shop. 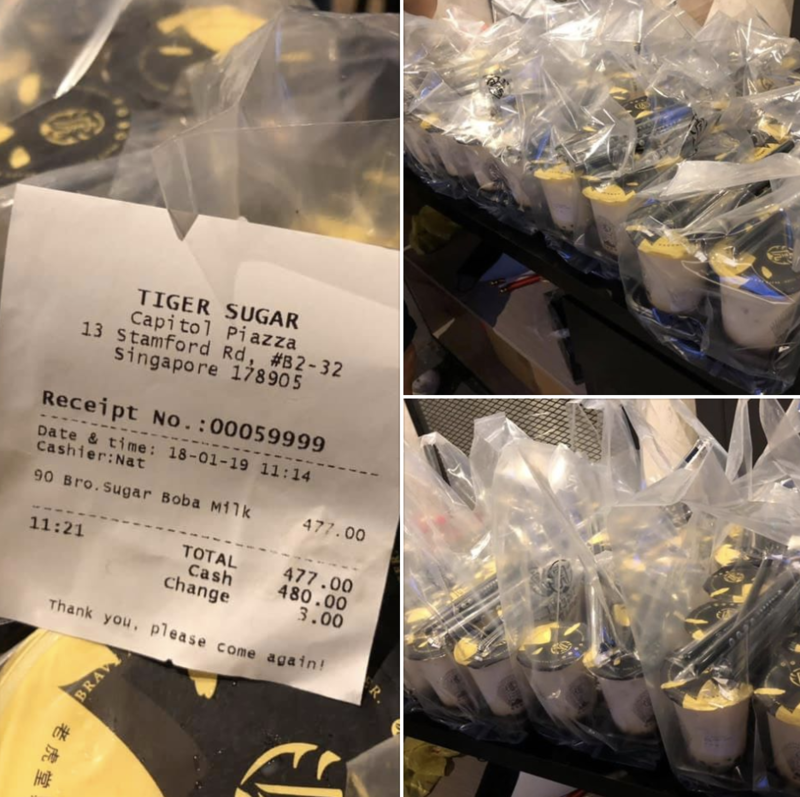 In case you’re wondering, the S$477 order was not consumed by an avid milk tea lover but was to be served to some clients the walk-in customer was entertaining that day. With an order that big, it would seem that the branch took a hit because later on the night they posted that they were sold out and could only accommodate the current queue. Imagine the shock and frustration of the person in line behind this huge order. Meanwhile, the anonymous walk-in customer was traced to a certain Nicole Chee, which the milk tea shop was quick to show their appreciation to.